UK creative food packaging supply company, Aegg, has moved to 300% larger premises in Andover prompted by a continued increase in demand for its plastic and glass packaging ranges. Aegg has continued to grow year-on-year since it was formed in 2010 and so the move into bigger offices and taking on key new staff is the next logical step as part of our continued expansion plan. Aegg, creative packaging suppliers to global food and beverage brands, has moved to larger head office premises, prompted by an increased demand for its plastic and glass food packaging ranges. 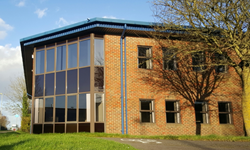 The company has recently moved from Salisbury to Andover with a 300% increase in square metres of floor space. As part of the company’s growth, Aegg has taken on 3 new staff within the last month and has heavily invested in new machinery and tooling for a recent high-volume project. Aegg’s new head office includes a product showroom and houses its design, marketing and administration functions, with its manufacturing taking place off-site. The three new members of staff have added to the company’s sales and logistics divisions, ensuring continued efficiencies to meet the increased demand. Aegg is a specialist food and beverage glass and plastics packaging company. Aegg packaging can be found in the premium shelves of all major UK supermarkets. All Aegg’s packaging is manufactured at accredited production sites. Its plastic products are manufactured in the European Union, which lends itself to short lead times and flexible delivery options. Its glass is manufactured in world class production factories with recognised accreditations. Aegg offers both a catalogue of ‘off-the-shelf’ products as well as a turnkey project management service, with its own in-house design team, ideal for more bespoke or creative packaging.